Small business superannuation information. Stratogen business advisors Noosa. 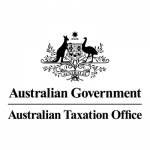 Further to our recent communication regarding the upcoming changes to the Small Business Superannuation Clearing House (SBSCH), the ATO have now advised dates. On 26 February 2018 the SBSCH will only be available through the ATO’s online services. It will be the same service, just with a new look. The SBSCH will be unavailable from Tuesday 20 February 2018 to Sunday 25 February 2018 inclusive while the ATO transfers existing SBSCH users data across to the new system. This means the last super contributions you can make using the old system will be close of business Monday 19 February 2018. What is the Small Business Superannuation Clearing House? The Small Business Superannuation Clearing House (SBSCH) is a free service (see note) you can use if you are a business with 19 or fewer employees, or have an annual aggregated turnover of less than $10 million. You can make your super guarantee (SG) contributions as a single electronic payment to the SBSCH. It will then distribute the payments to each employees’ super fund. The SBSCH reduces red tape and super compliance costs for small businesses. More information : If you require assistance or further information about using the ATO Small Business Superannuation Clearing House, please contact your Stratogen Small Business Accountant. Is your small business SuperStream compliant? What’s the difference between contractors and employees? Stratogen consists of a team of expert accountants and business advisers dedicated to providing you with the highest quality of taxation, accounting and financial management services. Additional business services include tax minimisation structuring, business valuations and due diligence, business restructuring and audits. We also provide professional bankruptcy and insolvency advice to Accountants, Financial and Legal Advisers, Corporations and Individuals. Our primary goal is to ensure all parties are treated with respect. Our accounting firm’s head office is located at Noosa on the QLD Sunshine Coast. Our expertise is unparalleled and thus we work with clients residing and working in Noosa, Mount Isa, interstate around Australia and internationally.